Do you know the names of all our presidents? Can you place them in the order that they served? Can you name the Commanders Chief born in Massachusetts? How many names of our First Ladies do you know? 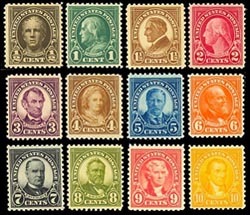 You can find out all this and much more at the Spellman Museum of Stamps & Postal History’s Annual Happy Birthday Presidents Family Day f11:00 – 3:00. The Museum is located on the campus of Regis College in Weston.